Amin Coja-Oghlan studied Mathematics and Computer Science in Hamburg and Berlin. 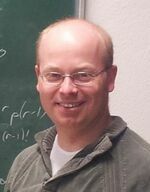 He graduated from the University of Hamburg with a Ph.D. in Mathematics in 2001 under the supervision of Johannes Michaliček and obtained a Habilitation from Humboldt University Berlin in 2005. After visiting Carnegie Mellon University in 2007, he held faculty positions at the University of Edinburgh and the University of Warwick before joining Goethe University Frankfurt in 2012. Oliver Cooley received a Bachelor and Master of Mathematics from the University of Cambridge in 2004 and 2005. He graduated from the University of Birmingham with a Ph.D. in Mathematics in 2010 under the supervision of Daniela Kühn and Deryk Osthus. 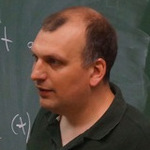 His research interests include random graphs and hypergraphs, extremal graph theory and extremal hypergraph theory. Mihyun Kang graduated with a Ph.D. in Mathematics from KAIST (Korea Advanced Institute of Science and Technology) in 2001 under the supervision of Geon Ho Choe. 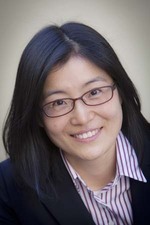 Her research fields include random graphs, random hypergraphs and random graphs on surfaces. 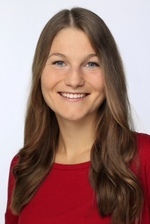 Kathrin Skubch is a Ph.D. student of Amin Coja-Oghlan at Goethe University Frankfurt. Her research fields include probabilistic combinatorics, random graphs and hypergraphs and phase transitions in discrete structures.